</iframToday I’ll show you why only seeking balance can make things worse.At first sight things can appear to be broken and out of balance. Perhaps they’re not. Instead, it’s our concept of balance that’s broken. 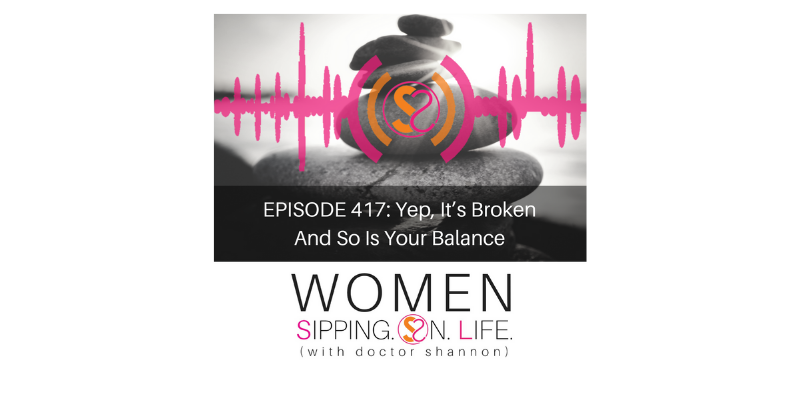 Here’s how to fix it…Could it be that what we need more than anything isn’t balance, but to adjust the way we’re looking at it and our internal gauges? We’re told that if we want to be balanced that we have to slow down to keep going. 1- Balance isn’t about speed, it’s about pressure. Too much pressure affects balance. 2- Balance isn’t about everything being equal. It’s about what’s working. My question for you today is NOT if your life is balanced. Do you feel like you or something in your life is broken? You’re not broken, and neither is your balance. 3- Your gauge is broken, and it’s affecting your balance. You may be trying to get help for what you think the problem is. Things may look and feel broken. What you really need is trust. Maybe it’s time to stop seeking BALANCE, and instead, seek the TRUTH. Where in your life have you lost your ability to measure pressure? Perhaps it’s on the inside. Are you willing to trust your instincts and discover the truth? Instead of judging everything from the outside, in…and trying to balance everything from the outside in, identify the pressure on the inside and deal with that first. Today I’ll show you why only seeking balance can make things worse. Could it be that what we need more than anything isn’t balance, but to adjust the way we’re looking at it and our internal gauges?